From the classroom to mainstream media, Christians regularly find their fundamental beliefs discounted by opponents who consider faith to be incompatible with reason. But in this apologetics primer, Dr. R.C. Sproul sets forth the core claims of faith to reveal just how rational Christianity truly is. 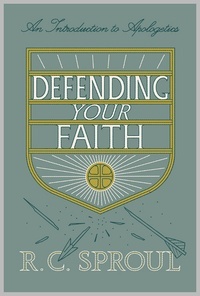 Surveying the history and fundamentals of apologetics, this book demonstrates how reason and scientific inquiry actually support Christianity’s claims—thus equipping believers to defend the existence of God and the Bible’s authority.